Who participate to the project? ENSAIT is a French engineer school which trains about 70% of textile engineers in France. As one of the leading textile higher education and research institutions in Europe, it awards every year 120 students an Engineer Degree at Master level and 10 postgraduates a PhD of Engineering. The research activities of ENSAIT are carried out inside the GEMTEX National Laboratory (textile engineering and materials). According to the evaluation of Noeton, a well-known independent Dutch consultant company, GEMTEX belonged to the top 4 textile research laboratories within Europe. The Laboratory GEMTEX is composed of three research groups, namely MTC (Mechanics and Textile Composites), MTP (Multifunctional Textiles and Processes) and HCD (Human Centred Design). The University of Manchester’s research has real-world impact beyond academia. They are at the forefront of the search for solutions to some of the world’s most pressing problems, seeking to be a global force for positive change. From tackling cancer and poverty to finding the energy solutions of the future, our research is making a real difference to the quality of people’s lives across the globe. Contribution to dissemination and communication activities. University of Borås is organized in three faculties, of which one has its focus on textiles and fashion – textile and fashion design, textile and fashion value chain management and textile engineering – and is commonly known as the Swedish School of Textiles. The school runs a number of cross-disciplinary research areas within the scope of: Smart Textiles, Digital Fashion, and Re:Textile. The multi- and transdisciplinary textile and fashion-related research also benefits education and training in the textile and fashion sector. This has therefore become a highlighted profile of the University of Borås. At present over 25 PhD students are active at the School of Textiles. The Deutsche Institute fuer Textil- und Faserforschung Denkendorf (German Institutes for Textile and Fibre Research – DITF), founded 1921, form with around 310 employees and more than 25 000 sqm of laboratories and technical centres the biggest European institute for applied research on all traditional and technical textiles and related processes. They offer accredited laboratories, a certified biomedical plant as well as employees with a wide range of qualifications. Bivolino.com is a SME based in Belgium established in 1998. The company consists of 2 main business units. Its fashion department is in charge of the B2C clothing business. The entire value chain is covered: web shop, 3D configuration, visualization, CAD, manufacturing and delivery. The user-designed shirts and blouses are produced through a fully automated production fulfilment system that connects all partners in the value chain. In 2014 more than 50.000 shirts ran over its e-configurators. Bivolino.com was nominated for the starters award for best e-shop in the Netherlands in 2004 and has won the award for the most innovative unique “gift certificate”. Desap, a mobile application development and smart device technology solutions company based in Manchester UK. Desap’s main role in the project is to enable interoperability between the smart textiles products used in this highly dynamic highly distributed heterogenous system. We will write algorithms to communicate with the smart textiles, extract the data securely, transmit this data to the cloud servers for data analysis, modelling and simulation. Once the modelling and simulation is completed, Desap will create bespoke web services to enable secure data transmission into the app database. Fitizzy helps ready-to-wear, lingerie and shoes brands to solve the problem of size and improve the shopping experience of their customers. Thanks to a 2 year’s R&D, all body measurements are calculated with accuracy from simple information. Fitizzy recommends the best size with advices about how the product fits. Fitizzy is a cross-channel solution for website and physical stores. Thanks to that we’re building the biggest morphological database which is useful for other markets. sectors: Administration, Modelling and CAD Department, Fabric Department, Cutting, Leather Department, Leather Goods Production, Assembling Department, Accessories Production, Finishing Department, Ironing and Quality Control, Warehousing and Shipping. AZADORA is a constantly evolving company in relation to its development and commitment. AZADORA aims at searching for solutions, and innovative production techniques through the adoption of new advanced technologies to obtain a final result of high strength and excellence. Involved in task 6.1 – pilot cases implementation – leading one of the businesses cases – Sportswear and Outer wear, with GZE. Leading Task 6.2: Business performance evaluation and contributing to task 6.4 and 6.5. Kuvera S.p.A and Inticom S.p.A merged together are Pianoforte Holding SpA jointly led by the two Italian founding families Cimmino and Carlino. The Group is legally based in Milan and operates through two main Headquarters strategically located in Nola (NA) and Gallarate (VA), in Italy. Intesa Sanpaolo is the largest Italian Bank and it has got a 10% stake in the Pianoforte Group share capital. The strong tradition and the consolidated experience in the retail sector of the families Carlino and Cimmino molded together into the Pianoforte Group providing international development and leading guidance to its portfolio of Brands: Carpisa, Yamamay and Jaked strengthen their presence retaining their uniqueness. the world on the semi-finished and finished fabrics, for motives of quality, prestige and international presence, but they also produce their own limited garments series with their own brands (MONOBI – https://www.monobistudio.com/ – it is one of these), with a policy which is orientated towards innovation, experimentation, aesthetic style and the quality standards of the fashion sector, with added-value technical features. to assist them in the preparation and management of strategic projects: business projects, research projects, training and technology transfer activities, under National and International support frameworks. The European Funding Division (EFD) team provides consultancy, training and support on European Funding opportunities, and in the preparation, negotiation and management of European Proposals, particularly on H2020 calls. EFD offers also support for communication and dissemination activities, and periodically participates into and organizes sectional seminars and networking events with/for industrial associations, SMEs, policy makers, etc. thus having the opportunity to disseminate the project results to relevant audiences. Contributing to market and stakeholder analysis, development of data-driven industrial strategies with value chain scenarios for local value creation of small series on demand, and FBD_BModel archetype development and tools. Leading WP7. Involved in exploitation, and leading Tasks 7.2 – 7.4 including dissemination, communication and networking and clustering. Premaccess is a Swiss company created in 2007. It originally provided IT hosting, outsourcing, and broadband services. It now also offer strategic support to our clients in IT Governance, Cloud support and digital transformation advising companies on how to align business goals and IT. Premaccess is based in France and Switzerland and other extra European countries thanks to a strong relationship with Amazon Web Services (AWS). Warrant Group S.r.l. is an italian privately held services company that provides full-spectrum consulting in business finance since 1995. 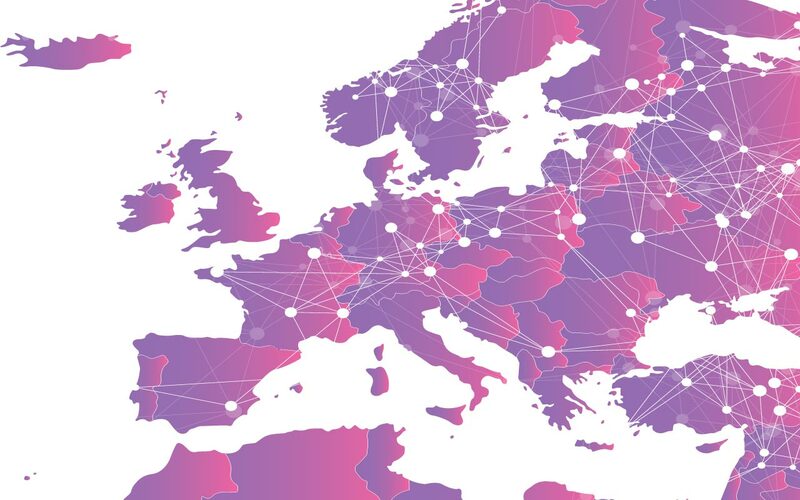 The European Funding Division (EFD) is one of the seven business areas, specifically focusing on consultancy, training and support on EU Funding opportunities. EFD services include the preparation, negotiation, management, communication and dissemination of EU-funded projects. Warrant Group is part of Gruppo Tecnoinvestimenti S.p.a.